 White Cotton Sateen - Superior, lustrous cotton fabric with a smooth, almost shiny surface on one side. 150 x 80 thread count, 4.2 oz/sq. yard. This fabric is only available on one yard increments.